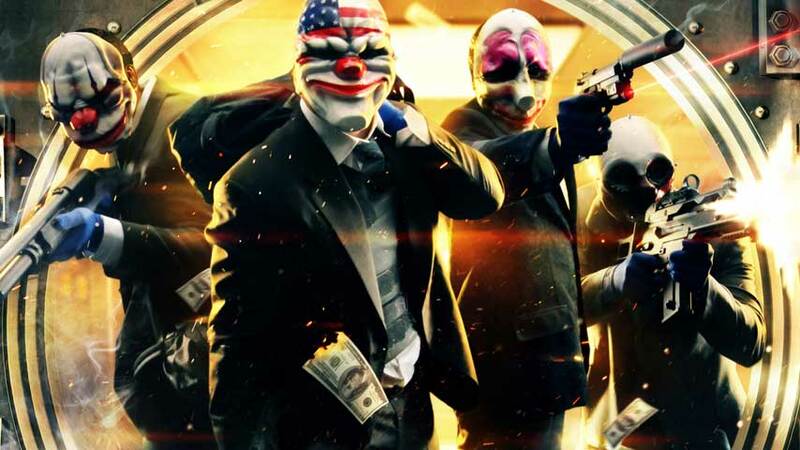 PayDay 2 has microtransactions so that Overkill can continue supporting the game in excess of its contractual obligations, according to the game’s producer. PayDay 2’s Crimefest event is over, and in spite of the addition of free keys for random drops, some players are still very upset by the addition of gameplay-affecting weapon skins. Producer Almir Listo took to Reddit to respond to the community, providing some more context for the addition of microtransaction and Steam Economy elements. “We thought – and still think – that this is a great addition to the game,” he wrote. “We have a system that everyone can participate in, where players can earn actual money while playing PayDay 2. If you don’t want to purchase anything, that’s completely fine, as you can just sell what you get and continue focusing on the core experience of PayDay 2. Community members repeatedly asked why Overkill had introduced microtransactions, when the developer had said it would never do so. Listo said he meant and believed what he said two and a half years ago, but he situation has changed in the interim. The team has tripled in size, and Overkill’s ambition to keep supporting PayDay 2 with additional content outstrips its funding. “We have a partnership with our partner 505 Games, where we have a deal to produce a specific amount of content until 2017. However, we at Overkill want to create more than what we and 505 Games agreed on,” he said. Listo said Overkill has ben closely monitoring reaction to the update and is open to discussion with the community, but that the Black Market content isn’t going away. He said Overkill believes the random drop items are balanced well, but will continue to adjust as necessary, and that any boost they provide benefit a whole co-op group, so shouldn’t impair any other player’s experience. “We understand that there is a lot of fury, anger and disappointment with us adding this. From an economical standpoint however, completely based on statistics, we can already see that the Black Market update is working as we intended,” he said. One other point of interest is that Listo said Overkill will update players on the actively supported console versions of PayDay 2 this week. You can check out the full AMA over on Reddit. I’d definitely recommend braving the hundreds of angry replies, as Listo’s lengthy responses deserve to be read in full; you can sort of see what Overkill was aiming for.